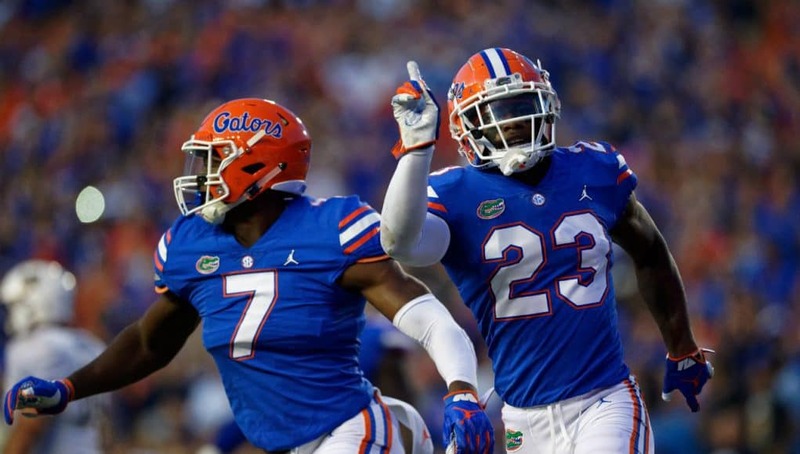 GatorCountry brings you a new podcast as we continue to preview the Florida Gators vs Kentucky game on Saturday night in the Swamp. Andrew Spivey and Nick de la Torre are joined by Jen Smith of the Lexington Herald-Leader as we ask her to give her thoughts on the game and tells us more about Kentucky. Andrew and Nick also continue to talk about the game and recap what Dan Mullen had to say Monday at his press conference in Gainesville. Andrew: What’s up, Gator Country? Your man, Andrew Spivey, here with Nicholas de la Torre. Nicholas, we’re back. We got our Wednesday guest coming up, as we preview the Kentucky wildcats coming to the Swamp this Saturday night at 7:30 again. Nick: Jen Smith will join us. She covers Kentucky for the Lexington Herald Leader, and she does a great job there. She was with Mark Stoops yesterday as he was talking about Florida, and she’ll give us a preview of what the Cats are looking like, what Benny Snell, who told us that he’s the best running back in the SEC, had a great Week 1, what he’s looking like, and if they can prove Chauncey Gardner wrong and stop that streak at 31 and not let it get to 32. Andrew: After we talk to her, I’m going to praise Chauncey Gardner. That hasn’t happened very often. It’s another good week. Listen, I just don’t think that this the Kentucky team of the last few years. I think it’s a good Kentucky team, but I don’t think it’s as good of a Kentucky team. I know this is a better Florida football team than it was last year and the year before last. I know it’s a much more disciplined team as well. Going to talk about that. Then, Nick, we’re going to talk about that FSU debacle. We’re going to talk about Willie Taggert falling on his face on the dance floor. Nick: Well, let’s get to Jen, and then we can get to that. Andrew: Let’s get to her real quick. We’ll get her thoughts on Kentucky, and then we’ll move on to more important business. Nick: We’re joined now by Jen Smith of the Lexington Herald Leader. Jen, thank you so much. I think our listeners are looking forward to hearing from you. Jen: Thanks. I appreciate you having me on. Nick: I see on Twitter you just found, I guess, Florida’s interesting section of the media guide talking about the streak. I guess we’ll get our streak talk over with quickly. Jen: We can do that. It’s interesting that both coaches yesterday sort of decided to say the streak has nothing to do with this current team and this current year. I guess, Florida’s, what is he, a nickel back, decided to immediately say, it’s going to be 32 wins. I think that will probably be a little bit of a motivating factor for Kentucky, but it’ll be interesting to see if any of us are still alive when the streak ends. Nick: Yeah. That’s Chauncey Gardner. Andrew and I call him the Mouth of the South. It was not surprising to anyone who follows Gator sports that it would be Chauncey Gardner guaranteeing a victory. Andrew: If you talk to anyone, just tell them don’t take him serious. Whatever he says just laugh at him and move on. First of all, he won’t back up his talk. Jen: It’s interesting, because Benny Snell, Kentucky’s running back, has a bit of a chip on his shoulder about just about everything, and last week the running back for Central Michigan said that he’d never heard of Benny Snell, and then Benny Snell, despite having a 102-degree temperature, decided to have a pretty decent game. Then the defense was sort of upset that he’d never heard of Benny Snell, so they tried to target him. Not target as in like bad stuff, but they really tried to make sure that he was held under his average. I think that type of talk actually kind of motivates this Kentucky group, not that a 31-game win streak wouldn’t motivate a group. I just thought that was sort of interesting that a lot of people have been tagging Benny with what Chauncey Gardner said. Nick: Benny doesn’t strike me as someone who needs much to have a chip on his shoulder. Florida could have said great things all week, and he would have maybe found, like I don’t like their tone in the way they’re saying nice things and use that as motivation. Jen: Benny can go back to his childhood, when he didn’t get picked for a flag football team first and probably use it as motivation. Nick: Seven degrees of separation. He’ll find a way. That was Dan Mullen’s second cousin, twice removed, and he didn’t pick me in third grade. He is a great running back. What has been the reaction to him at Media Days? I loved it, how confident he was in saying and repeating, I’m the best running back in the SEC. Jen: I think people around here just sort of have gotten used to it. He’s sort of our Mouth of the South, I guess, if you want to go that direction. He’s been one of those guys that’s backed it up every time. I mean, I think he’s now 1,300 yards away from setting the all-time school rushing record. He’s just one of those guys that tends to back it up. So, while people were sort of wide-eyed the first season when he was talking, they’ve sort of gotten used to it. It sort of feels more comfortable to them now. The last game, his roommate and one of his best friends, AJ Rose, also had 100-yard game. It’s the first time since Boom Williams left a couple years ago that Kentucky has been able to have two 100-yard rushers. I think that they sort of a ground game going, and Benny feels like they can back it up. So, Benny will just keep talking and trying to do the things that he has to do to motivate the offense to go forward. Andrew: In the past it kind of see Kentucky be a balance team, per se. I guess, is this a more run heavy Kentucky team? When you look at Florida’s defense, the defensive line is very noteworthy, had a really good game against Charleston Southern, beating Charleston Southern. I guess, do you expect it to still be a run heavy Kentucky game offensively, or do you expect it to be a little bit more even? Jen: It’s kind of an interesting mix, because I sort of go back to that Florida game, I think it was two years ago in the Swamp, when Drew Barker went down. It might have been the first play of the game. He was sacked, and he already sort of had a nagging back injury, but that sack led to him needing back surgery. Then Stephen Johnson came in and sort of started leading the offense for Kentucky, and then he left at two years, because he’s a JuCo guy. The next game after that is when Benny Snell came in, and the whole offense after Drew Barker went out, because he was really kind of a pocket passer type, when Drew Barker went out and Stephen Johnson and Benny Snell came in is when Kentucky really started adjusting the whole run-pass option offense, trying to work more that style than any other kind of style. I think as long as Benny is on campus it’s going to be a run first. But they have a brand-new quarterback in a kid named Terry Wilson. He had some jitters, I think, in that first game. He’s faster than Stephen Johnson. He has a lot more mobility. He’s a guy that coaches say he can complete all the passes, but at Kentucky we haven’t seen that quite yet. He’s primed to have a breakout game, but it’s still early in the season. I think he’s a guy that’s talented and can throw the ball, but they really have not been able to get that passing game on track, at least sort of early this season. Andrew: That’s what I was going to say next. Dan Mullen kind of recruited Terry Wilson a little bit towards the end of December, right as the early signing period came about. I guess, what do you expect from Terry Wilson? What did you kind of see in fall camp from him? Did he mention anything about Dan Mullen recruiting him at Florida? Jen: Actually, we don’t get him until today, late this evening when we get media availability. Nobody asked him after the game. There was still a lot of talk about just how he really was, you could almost see how amped up he was and how nervous he was. He settled in a little bit in the second half. Coaches are hopeful that, it’s sort of hard to explain, but they did two scrimmages in the preseason, as everybody does, but the first scrimmage the quarterbacks at Kentucky were terrible, and coaches, you could almost see the worry on the faces, like we’re going to have to run it 90 times a game. Then by the second scrimmage they had figured a lot of things out. It took like a week for them to sort of watch the film, see what they were doing wrong, make some corrections and those sorts of things. Coaches are hopeful that this game is sort of like that second scrimmage, that they can go back and point to a lot of the mistakes that Terry Wilson made. They’re going to simplify the offense for him in a lot of ways. I think instead of giving him a run and a pass option in the RPO they’re going to just tell him, you’re going to run it here. You’re going to pass it here. They’re going to give him half the field, instead of the full field to make decisions on. I think if they can simplify it a little bit for him and let him think less and run more and make plays with his feet and his arm, that he’s going to be a little bit more successful. Now, will he be more successful against a Florida defense? That’s a whole other question. I do think that he’ll settle in and figure some things out. I just don’t know if it’s going to be this week or next week or five weeks from now. Nick: It seems like, to me at least, that Kentucky could make a very good case that they should have won last year in Lexington. If you cover two receivers, you might win by two possessions. I mean, a streak this long, there’s just ways that you find ways to lose games, but does Kentucky feel like they have the talent? I know that, especially in the skill positions, they’ve definitely closed the gap. Do they feel like they have the talent that can come in and be a team, even with the question marks you just talked about at quarterback? Jen: Well, a couple of years ago, down in the Swamp, it was a two-overtime, a couple ticks on the clock. Nick: There might not have been a tick on the clock. Jen: Exactly. Fans here are still angry about that too, if we’re being honest. I think that they definitely probably didn’t have the talent then to beat Florida. Streaks are weird, and Kentucky fans are very familiar with them in football. There was a super long one, I cannot remember the number off the top of my head now, against Tennessee a few years ago. At that point, Joker Phillips was the coach, so that should tell you how long ago it was. Joker Phillips was the coach. Both quarterbacks that they started the season with were injured. They ended up playing a wide receiver named Matt Roark at quarterback, and he was just running the ball and throwing short passes, and they somehow ended the streak against Tennessee. I think it was at 20+ games against Tennessee. It might have been 29. So, I think Kentucky fans don’t necessarily think that they have to have all of the pieces in place to end a streak, that they’re just sort of this random happenstance. It was obviously a long time ago for Tennessee. I think Derek Dooley was the coach at that point. It’s possible, I guess, that fans think that they have the pieces in place, but they don’t necessarily feel like they have to, if you understand what I’m saying. That was sort of a long, meandering way to get to it doesn’t really matter, I think, in a lot of ways for Kentucky fans. They think that the streak is going to end every year, regardless. Andrew: I guess, when you talk about that, is that something that they talk about openly, or is it something that is more behind the scenes they talk about ending the streak? I mean, obviously, it has to weigh on everyone. I think it weighs on Florida a little bit as well. There’s that burden of do I want to be the team that ends this? Jen: You don’t want to be the team. Yeah. Andrew: Then if you’re Florida, you don’t want to be the team that loses it. I guess, is that something? Florida doesn’t talk about it as openly in the media, but more so behind the scenes. Is that something Kentucky does as well? Jen: I sort of go back to last year’s game. It’s interesting, because early when we were talking I mentioned the whole advent of Stephen Johnson, RPOs and Benny Snell sort of coming out of that Florida game. I think that the Florida loss last year is one of those things that sort of weighs on Mark Stoops in a serious way. He is a secondary coach by trade. He grew up in a house with a dad who was a secondary coach. I mean, he’s a guy who understands secondaries, and somehow, some way, I still haven’t exactly figured out what happened, they don’t cover two wide receivers in a game that they probably could have ended the streak last year. Then Benny Snell had the go-ahead, what looked like the go-ahead touchdown, and then there’s a holding call in the final seconds of the game. I mean, I sort of think that people around here are starting to believe that curses are like a legit thing, and that it’s something that Kentucky must have done to upset football gods. So, yes. It is openly discussed. It’s also openly, I think, an issue with the fanbase and Mark Stoops still. I mean, any time Stoops coaching or a philosophy about coaching, inevitably there will be people that tweet back at you, he need to guard two wide receivers. I think that there’s this sort of stewing constant rage about the Florida streak that they would love to see end at some point. I guess that’s sort of where I am. They’ve been really close, and they’re trying to get there, and it never seems to happen. Yes. It openly talked about. Sometimes they sort of shy away from it, with the whole it’s not our streak. I’m just a new coach. But he even said at Media Days this year, SEC Media Days, that five of these are on him now, and it’s really starting to become a personal thing. I think he called it the giant elephant in the room that they just can’t get rid of. Yes. The Florida streak is a very real thing to Kentucky fans. Andrew: Nick, before your next question, let me move on to back onto the field a little bit. Obviously, Florida has their issues at offense. Feleipe Franks, we’ll see what Feleipe Franks shows up, and the offensive line struggled for a good portion of the game. What’s the Kentucky defense look like? We all know about big Matt Elam. Besides Matt, give us kind of the take on the defense. Andrew: That’s right. Matt is gone. Jen: He graduated. Honestly, I don’t want to trash Matt, but he really didn’t have much of an impact the last couple of years. Nick: That was almost a contentious relationship towards the end there, because he was so highly rated and kind of just meandered around for his time. Jen: It’s interesting me. One of the things that I think has sort of dogged the Kentucky defense, which has not been great statistically the last few years under Stoops, is that they just didn’t have much depth or athleticism or size. They would have one or two pieces at the defensive line that looked really solid, and then the guys around them and the guys behind them weren’t great. They were sort of one injury away from being a terrible defensive line, and it happened a few times in the last few years. So, this year Stoops is comfortable saying this is the best defensive line we’ve ever had. They have two or three guys you’ve heard of that have made significant plays in games in the last few years, playing behind other guys. I think that in the game against Central Michigan they had 17 tackles from their three interior defensive line positions. I think nine different guys had tackles in that game within that position group. So, they feel good. I think in a place like the Swamp it’s good for them that they have a lot of sort of mobile bodies that can interchange parts and get guys a break when they need to, because, obviously, our humidity is not your humidity. I do think that the defensive line is going to take a step forward this season. It will be interesting to see them against an SEC offensive line. I think that sort of tends to make the rest of the defense look better. UK’s secondary went from fifth in the SEC two years ago to 13th last year. They gave up a ton of passing yards as a defense. I think that’s going to significantly decrease this year. I think all of it sort of hinges on the defensive line, and they haven’t had a very good one until possibly this year. I mean, I might regret saying that if you guys call me in a year and say, what happened to the defensive line? Right now, they look like a group that really could be solid and make some big plays for Kentucky. Nick: A secondary’s best friend is a good defensive line, because no one wants to cover for seven seconds. I think what stood out to me, and, obviously, at some point Central Michigan, the fighting Chippewa’s, had a lead. To me, it seemed like that -4 turnover margin had a lot to do with that. When you’re trying to go on the road and play in an SEC game, it’s hard to win those games with a negative turnover margin. Did Stoops address that on Monday? Are they making an added emphasis in practice to watch those interceptions and hold that ball high and tight? Jen: Yeah. I think that’s, obviously, going to be. Two years ago, when Stephen Johnson first started, they were one of the worst teams in the country at taking care of the ball. This last year, they were one of the best. I mean, they were considerably better at not turning the ball over. It was the first thing that offensive coordinator Eddie Gran posted on the wall in the offensive meeting room as fall camp started, the turnover margin and how big of a deal that is to Kentucky and how taking care of the ball is everything. Coach speak. So, in the first half alone they had four turnovers. They had 15 total turnovers last year, and they had four in the first half against Central Michigan. I think that should be an anomaly. They even had a couple fumbles that they managed to recover, so it could have been much, much worse. Stoops talked about it a little bit. I don’t think he wants to jinx it. He sort of struck me as a guy who was waiting for it to be a problem to make it a problem. I think that they’ve tended to take pretty good care of the ball the last year, and they’re trying to continue that trend. From Stoops’ perspective, the thing that he talked about was how a team that was -4 in turnovers still managed to sort of not panic, to hold tight. The defense was super strong and held field goals where there should have been touchdowns for Central Michigan after those turnovers. All of their points in that game were scored off turnovers, so Kentucky knows that it needs to make some changes and make sure it does some things correctly. I think a lot of that can be attributed to a first-time quarterback playing in a big game for the first time. JuCo crowds versus other crowds are a little bit different. I think he will probably make the adjustment and be okay. Nick: We give anyone that comes on the option, if they want to, to predict the game. If you want to do that, I know it’s early in the week. Jen: I’m a beat writer, and they tend to ask us not to do that. Our columnists are usually the prediction guys. I tend to shy away from doing it. I do think this is the best team that Kentucky and Mark Stoops have taken to the Swamp, but I don’t know that that’s going to matter. I think that the streak is alive and well until it ends. Nick: I always say, I’ll be a year late to pick it. The streak predates me by two years. Nick: Yeah. I’ve never seen a Kentucky win over Florida in football, but it would be something. I saw Georgia Southern come into the Swamp and win, so I’ve seen some weird things covering this team. I’ve seen two four-win seasons. I wouldn’t be surprised to see anything at this point. Andrew: I’m with Nick. Wouldn’t surprise me at all. I do think it’s a little bit closer of a game. After hearing your thoughts and seeing some of the game for Kentucky in Week 1, I do think that the defensive line will cause some problems for Florida, especially on the left side of the offensive line that struggled. Looking forward to a great game. We really appreciate you coming on. Jen: Sure, guys. Thanks for having me. Andrew: Before you get out of here, tell everyone where they can follow your work, and then we’ll get you out of here. Jen: Sure. You can go to Kentucky.com. That’s the name of our website for the Herald Leader, which is who I write for. On Twitter, @JenHeraldLeader. Andrew: There you go. Guys, follow her, and we will be back to finish talking a little bit of Kentucky and get your thoughts, Nick, real quick, on what Dan Mullen said. Nick, good stuff with Jen. Much, much better than that bozo Matt Jones. I mean, good lord, that guy. I don’t know if I’d have been on this podcast with you, Nick, if you’d have said you wanted to have Matt back again. I couldn’t handle that. Good stuff from Jen. Nick, after I look into this game more, I really think it could be a battle of the running games, and then which quarterback doesn’t mess up. When you look at Terry Wilson at Kentucky, I’m not convinced he’s a passer. I think he’s more of an athlete playing quarterback. I’m not convinced that he’s going to be able to beat a good Florida secondary. Not convinced there at all. After looking at Kentucky’s defensive line and talking to her, I think that Feleipe will have to do a good job of getting the ball out of his hands, because I’m not sure that Florida’s offensive line will be able to hold them up. Nick: The secondary, we’ve talked to a couple players, and we talked to Dan Mullen, and they pointed out Kentucky’s secondary is big. We’re looking at cornerbacks that are 6’3”, 188, 6’4”, 197, 6’, 6’3”, and it’s a veteran group, juniors and seniors. Talking about the turnover battle, that kept them, them being Central Michigan, in the game with Kentucky. As Jen said, it might have been a JuCo quarterback dealing with a new crowd. Playing in front of a friendly crowd is much different than coming in and playing on the road, so will that be an issue? Will that be a factor? Especially for a night game, SEC opener, I expect it to be a really good crowd there. It could be, depending on if Florida comes out trying to throw the ball like they did, or does it turn into who can run the ball better? Andrew: Again, I think Florida will be much more balanced. I think last week, listen, fans, this is what you can get from the passing game, per se, and go on like that. I don’t think that you’ll see as much of a pass happy team in this game. I think you’ll see a more diverse offense, a more balanced offense. Maybe even leaning more towards the rushing game, if they can get it going in this game. We’ll see. We’ll just kind of see where the defense allows the offense to get going. If you’re Florida’s defense, I think you pin your ears back. You go get that running game. You go get Benny Snell, and you tell Terry Wilson, if you think you can beat the two top corners in the SEC, go beat them. Nick: To me, that’s the game plan. You kind of pin your ears back, and you go all in on stopping the run. Say, listen, if you guys are going to beat us it’s not going to be because of 26. It’s not going to be Benny Snell. You’re going to have to beat us through the air. Andrew: Right. I don’t know if Benny Snell can beat Florida by himself. Nick: I mean, he is a talented, talented running back. He was the AP All-SEC first team, Coach’s All-SEC second team. He’s a Doak Walker Award, Maxwell Award watch list. Started all of their games a sophomore. He’s a very talented player, but I think Florida’s defense is good enough, going into any game, to say we’re going to take this aspect away from a team and try to make them beat us there. That’s not saying Florida’s defense is going to pitch a shutout or keep anyone to seven points. If Todd Grantham and that defense say, we’re going to take this player out of the game and make them beat us somewhere else, I think they can do that in just about any game they play. I think, if they want to, they can take Benny Snell out of the game. He might still get his. He might still get 95, 100 yards. Andrew: He’s still going to get his yards. Nick: Yeah. But I think Florida will try to do as much as they can to neutralize him. If Kentucky is going to beat us, it’s going to be somebody else not named Benny Snell. Andrew: You heard Jen say they’re going to simplify the playbook and make the reads and half the field, that kind of stuff, for Terry Wilson. Good luck trying to pick on half the field, because if you only have half the field, Todd Grantham is going to eat you alive. I’m just going to let you know. I said it to Jen, it may be a close game. If Terry Wilson can’t see the whole field and work the whole field, and they can’t have a full playbook, Kentucky might get ran out of the Swamp. Nick: When you have a quarterback situation like that, you’re not built to come from behind, so if Florida gets off to a 10-0, 14-0 lead, and you get into situations where now you’ve taken Benny Snell out of the game, and you’ve taken the running attack out of the game, just based on the points, then I think that’s when it would turn into a long day for Kentucky. If Kentucky keeps it close and doesn’t have to get away from the running game trying to play catchup, I think that’s where they start hanging around building confidence. Andrew: I think I just changed my mind. I was going a close game. The hell with it, Nick. I think I’m going blowout city this week. Nick: That’s our Friday show. You’re jumping ahead. Nick: I know what’s new. What’s new is that there’s only two teams in the state of Florida that are undefeated, and one of them is UCF, and the other one does not reside in Tallahassee. Andrew: The Willie Taggert joke show. Nick: I thought Miami had a bad first game. Andrew: Listen, Nick, I’m going to say this, and I’m going to preface this by saying that I’m not talking bad about Doug Nussmeier, because I like Doug Nussmeier as a person. I think Doug Nussmeier is a good person. I just think he just wasn’t cut out to be an offensive coordinator. Doug Nussmeier could have coached a better football game than Willie Taggert did on Monday night. You don’t agree? Nick, we can’t hear you. Nick: Sorry. I think I was on mute there. Nick: Sorry about that. To me, it was the lethal simplicity, the whole thing on offense, the talk all off season, it just wasn’t there. Deondre Francois did not look good. The running game really never got going. Then VA Tech, early on in the game with the blocked punt for a touchdown, that’s some Beamer ball. It was cool to see Bobby Bowden and Beamer in Doak, but to me you don’t feel good at all. If I’m an FSU fan, I don’t feel good at all about this team based on that. That’s not like, Miami at least, with their loss, you could say it’s a nonconference loss. It wasn’t at home. There’s ways to get around that and to find a silver lining in losing to LSU. Opening up a new era with a conference game in prime time at night at home, and then just to not even compete, that’s a whole different gut punch. Andrew: I don’t even know if it’s a gut punch and not being able to compete, as disorganized and lunatic you look. I mean, first of all, 3rd and goal on the 10, I get it. You’re probably looking at two possessions, but you run a wildcat option play with your running back? What are you doing, dude? What are you doing? This is a team, and I really thought Willie Taggert was coaching his first football game ever as a head coach on Monday, and we all know that’s not true. It goes back, Nick, and people made fun of me from the Florida State beat when I said this, and I don’t care. I’ll say it again. The people that I talked to said that Willie Taggert was disorganized and listened to no one. Nick, you not knowing that going into that game, now coming out of that game, you have to think that those two facts are pretty clear. Nick: It seems like there’s some truth to that now. To me, I think there was a lot made about Willie Taggert being under 500. Some people talked that off as he kind of took over teams that weren’t very good and then built them up, and after he had his first good season, when your name becomes one of the hot names thrown around after a good year at one of those programs, he kind of left, and that’s why. People use that as a way to explain away his record, but that’s a Florida State football team with a lot of talent. Andrew: Yeah. A lot of talent. I mean, some people say, don’t blame it all on Willie, because Willie wasn’t out there calling the plays. I mean, Willie wasn’t out there running the plays. No. Willie was calling the plays, looking like a bozo calling those plays. He looked like a guy who’s been working on his dance party more so than that. Let’s just call it what it is, and that is Willie Taggert, you got a lot to prove, and Florida State fans, it’s time to zip it, big boys, because you just laid an egg with the #1 prospect in the country, Kayvon Thibodeaux, on your campus. Nick: Yeah. Shoot. How many times have we seen that covering Florida in the past couple years? Andrew: It was bad. I tell you what, Nick, that game right there looked like the Florida-Kentucky or Florida-Tennessee game from last year, where it was just what the hell are you doing comment one after the other. Not knowing what in the world was happening. That’s what that was. That was bad. Virginia Tech is not a good football team. Their offense gave Florida State every chance in the world to win that football game. Nick: Yeah. They started to try to give them, I mean, they came out hot, but it seemed like in the second half just trying to let FSU back into the game, and FSU just said, no thank you. Andrew: Exactly. Nick, I wanted to move on a little bit here. Back to Florida, back to a real football team. Something that caught my attention on Monday that I really like was Dan Mullen naming his players of the game and naming them publicly. Everyone names their players of the game behind the scenes, but I thought that was cool. It’s another way of recognizing and showing attention to your players of the game. Maybe it’s not the MVPs of the game, per se, it’s the guys that graded out the best and lived up to the Gator standard, as Mullen says. Named Feleipe Franks, Chauncey Gardner, and Ventrell Miller as the three players of the game. Maybe not the three players of the game I would have said. I’d have had Zach Carter in there, because of special teams play. Again, all three of those guys played well. I just think it’s a cool honor. I think it’s cool to see. Nick: I really like that. I liked that Muschamp did that. Muschamp would do that, and he would announce it at his Monday press conference. I like that. You’re always looking for ways to motivate guys, whether that’s competition in practice and reps and how many reps you’re getting in the game. You’re always looking for ways to motivate guys. People will say, if you need that for motivation, then there’s something wrong with you. We’re talking about kids. We’re talking about kids that are 18, 19, 20 years old, and you need to motivate them. I think this is a way. Now you get your coach is tweeting out to hundreds of thousands of people my picture, because I was a player of the game. Just that stuff feels good. Andrew: Listen, none of these guys are playing better or playing worse because they were named or not named player of the game, but it is a good thing to have, and it’s just cool to see for me, Nick. Last little thing I wanted to talk about, when you go back to Mullen on Monday you see him talk about the quarterback position, and you could tell he was up and down on that for the most part. Overall, he seemed very pleased about the game in general. The thing that stuck out to me, Nick, was no new injuries. Nick: That’s big. You come away from that first game clean, and that’s big. To me, I want to see, I think the biggest one will be David Reese. Nick: Where is he with his ankle injury? He didn’t dress out last week. So, where is David Reese. When we’re talking about stopping the running game and stopping Benny Snell, need all hands on deck at that linebacker spot. I did like Rayshad Jackson. 44 had a bunch of tackles for losses. Jeremiah Moon graded out as a champion. I mean, there’s guys there, but you’d like to be at full strength, if possible, on Saturday. Andrew: For sure. Again, David Reese is going to be a legit playmaker on this defense. There’s no doubt about that. You’re going to need him as Tennessee comes to town and Mississippi State and Georgia and the rest of the year comes about for that. I will say this. I think you can get away with resting him another week, maybe another two weeks. Probably would like to get him in to some game against Colorado State, so it’s not his first game against Tennessee on the road. I think you can get away with him resting another week this week. It was a good week to get those guys going, Rayshad and those guys. It’ll be interesting to see how those guys take a step forward this week with a better competition coming into town. Nick: Better competition. I think we’ve talked about probably the past couple years. We didn’t bring it up with Jen, but I think the streak probably at this point weighs more on Florida than it does on Kentucky. Nick: Kentucky, you’re almost at this point expected to lose. If you win the game, it’s the greatest thing that’s happened to Kentucky football in three decades, if you beat Florida. Nothing better has happened to Kentucky football than if this Kentucky team were to come into Gainesville and beat them. For Florida, it’s really just if we win the game, we were expected to, and if you lose the game, you’re the first team. Your name is on the roster of the first team in 32 teams to lose to Kentucky, and you don’t want that. I think there’s more pressure to not be the team to lose. More pressure to be the first team in 32 teams to lose than the first team in 32 teams to win. Andrew: Agreed. Completely agree for that. Last little thing for you, Nick, before we get out of here, and that is there’s only one SEC team without a win. Nick: Jeez. Tennessee. What a dumpster fire. Andrew: I mean, I thought the life champion motto went away. It’s back. Nick: Tennessee. You know what Tennessee is? Tennessee is happy that they don’t have to face Will Grier ever again. Andrew: I mean, for real. Jeremy Pruitt, you life champion son of a gun. You ain’t at Alabama no more. Nick: Real quick. He’s not used to losing to Tennessee from his time at Alabama, but now that he’s at Tennessee he might get used to losing, especially this year. I don’t think, that’s not a bowl team. Andrew: No. That’s not a bowl team, Nick. That’s a bad football team. That’s a bad football team. My word, that’s a bad football team. I mean, I understand Butch Jones wasn’t a good coach, but he was supposed to be a good recruiter. My stars, man, you didn’t even build a roster worth competing. Vandy may have a better roster than you. Nick: That offensive line is going to get the quarterback killed. They should get a win this week. Nick: Then you should get a win next week versus UTEP. Andrew: Maybe. I’m rooting for Eastern Tennessee State of the Western Northwestern whatever Tennessee. Nick: My goodness, Jeremy Pruitt is not going to sleep much in October. I mean, you’re probably 2-2, and then you go at Georgia, at Auburn, Alabama, at South Carolina. Andrew: Exactly. Nick, tell everybody where they can find us. We’ll get out. We’ll see everyone on Friday. Nick: www.GatorCountry.com for all your Florida Gator news. The podcast is there in audio and transcript form. We’ve got it up wherever you Android people go to get your podcast. We got it there. It’s also in the iTunes store. Subscribe on both of those. Never miss an episode. You can also listen to it right on the website there. Do your social media thing. @GatorCountry on Facebook and Twitter. @TheGatorCountry on Instagram. I’m @NickdelaTorreGC. He’s @AndrewSpiveyGC. Thank you one last time to Jen Smith for joining us today. Go check her out this week and be nice to her. Andrew: There you go. It’ll be a good week. Looking forward to that. Real quick, Nick, William Harrod committed to Florida on Monday, and that was big for the Gators to get that commitment from him. Got to talk about that for sure, as that was a big offensive line commit, and we’ll definitely get onto that on Friday when we have a little bit more time. Guys, again, we appreciate it. We’ll see everyone on Friday, as we bring our predictions for Kentucky. Guess what? Neither Nick or myself will be picking Kentucky. That’s some breaking news. As always, go Braves and chomp, chomp.